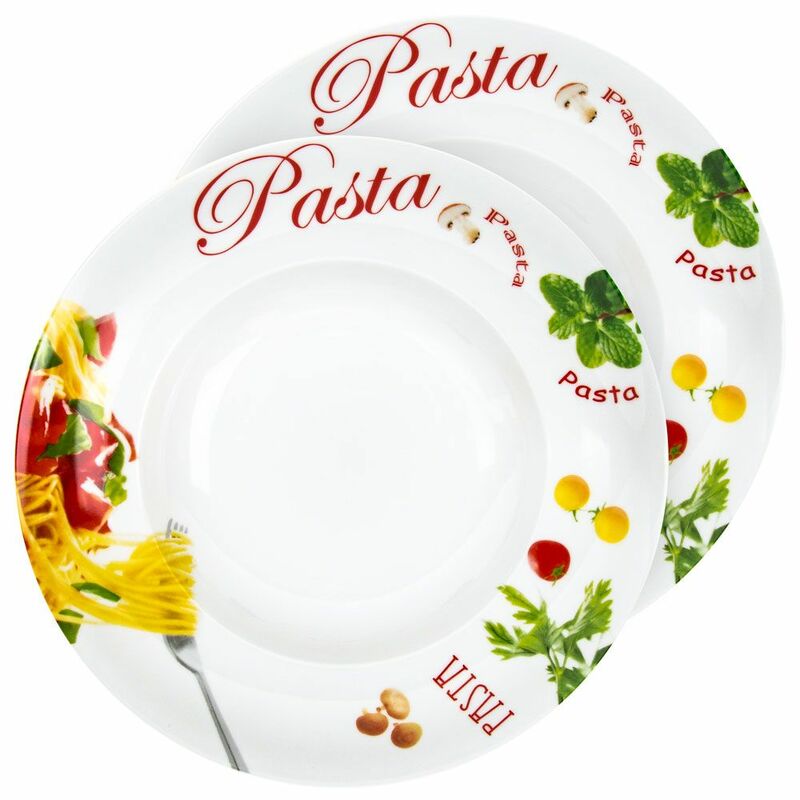 A pair of modern ceramic pasta bowls in white gloss finish with yellow, red and green colouring. Features the wording pasta in red with colourful illustrations of mushrooms, herbs, tomatoes and of course pasta. 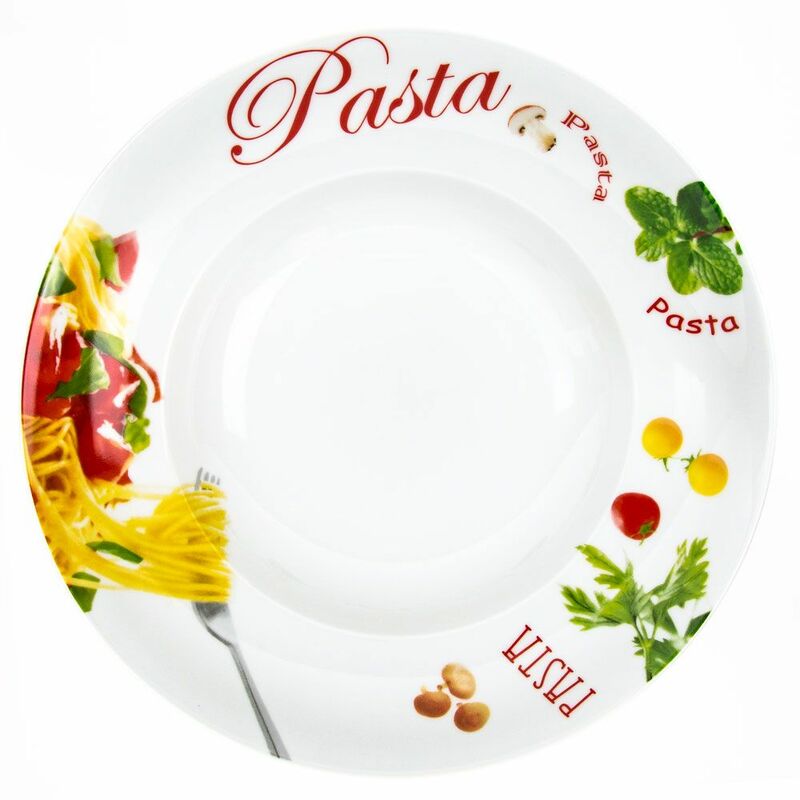 Perfect for dining-in with a good pasta dish, a must have for any kitchen! Product dimensions: Height - 6cm, Width - 27cm. Depth - 27cm. 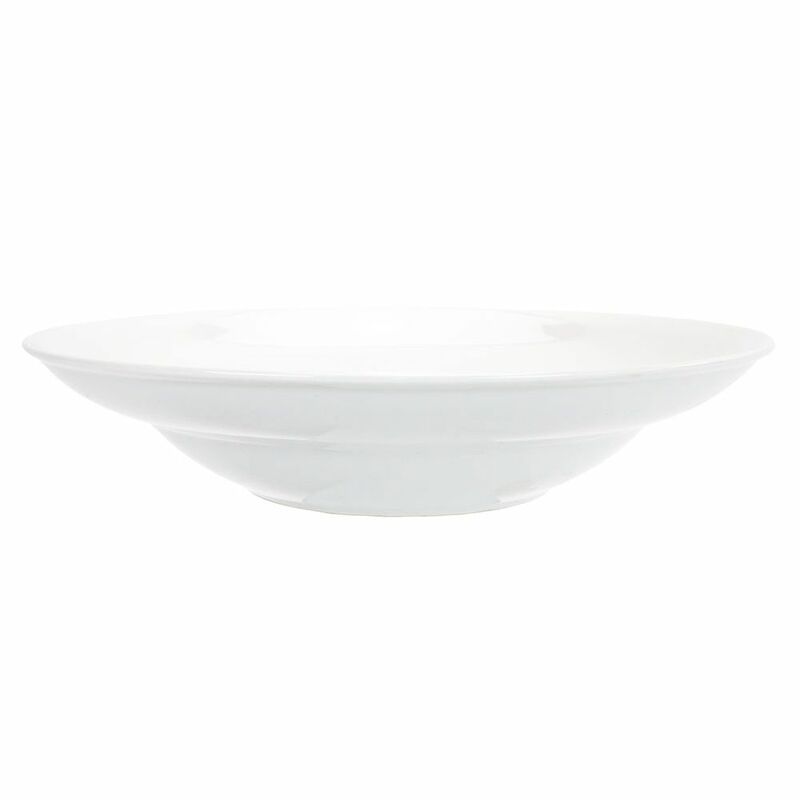 The bowls are perfectly suitable for dishwasher and microwave usage.